Online resources are available for each course include in a Grade Level Kit. 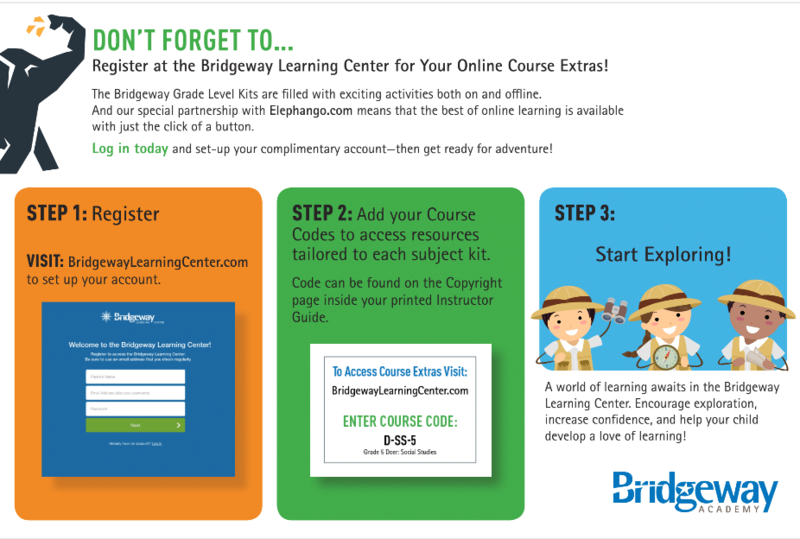 To access these resources you will need to login to your Bridgeway Learning Center account at learn.homeschoolacademy.com. If you purchased your kit directly from Bridgeway Academy, you will already have an account. If you purchased your kit from Curriculum Express, you will need to create your account. Your kit includes a postcard with instructions on creating your account and adding your courses. 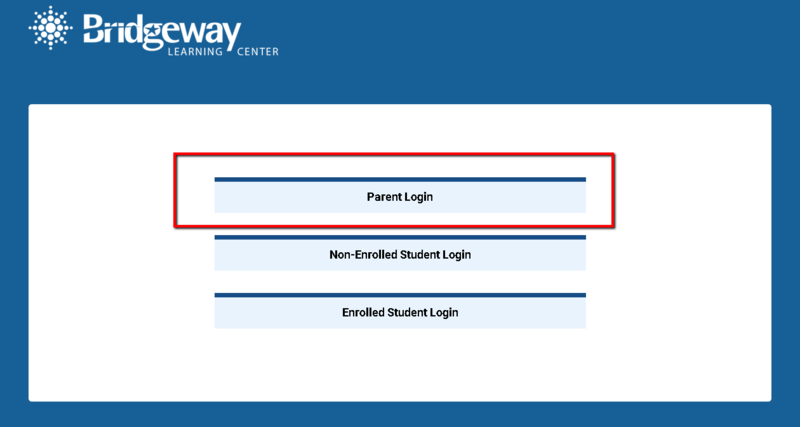 After your initial registration at bridgewaylearningcenter.com to login, you will then need to select the Parent Login to view your resources. After logging in, your course resources are displayed. 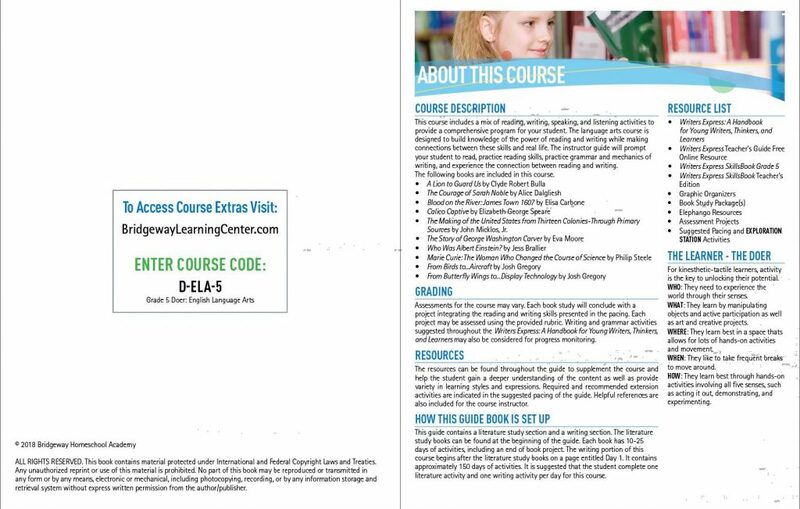 You can add additional courses if you have purchased them by entering the course code that you will find inside of each printed instructor guide. If you have more than one student, click on each students name to view the resources for each student.